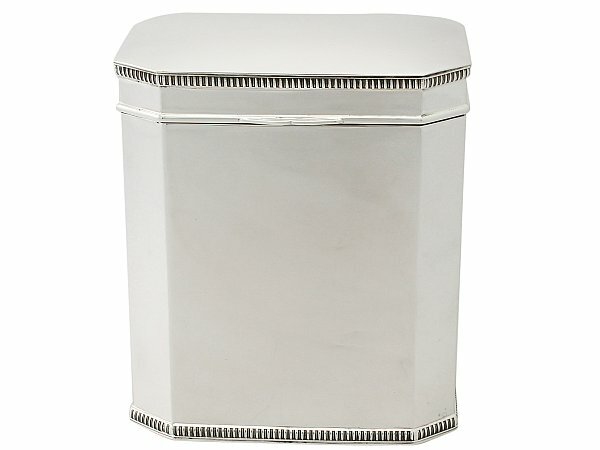 This exceptional antique George V, large sterling silver box has a plain rectangular form with cut corners. The base and cover of the silver box are ornamented with an applied stylised gadroon decorated border. The subtly domed cover is embellished with an applied moulded border to the rim, incorporating a shaped thumbpiece. This impressive box retains the original gilt interior. 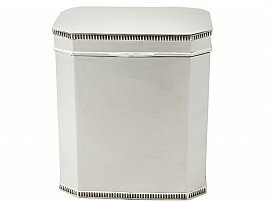 This large sterling silver box is an exceptional example of its type. This antique silver box is an exceptional gauge of silver, exceptional quality and in exceptional condition. Full hallmarks struck to the surface of the box and part hallmarks to the surface of the cover are all very clear.